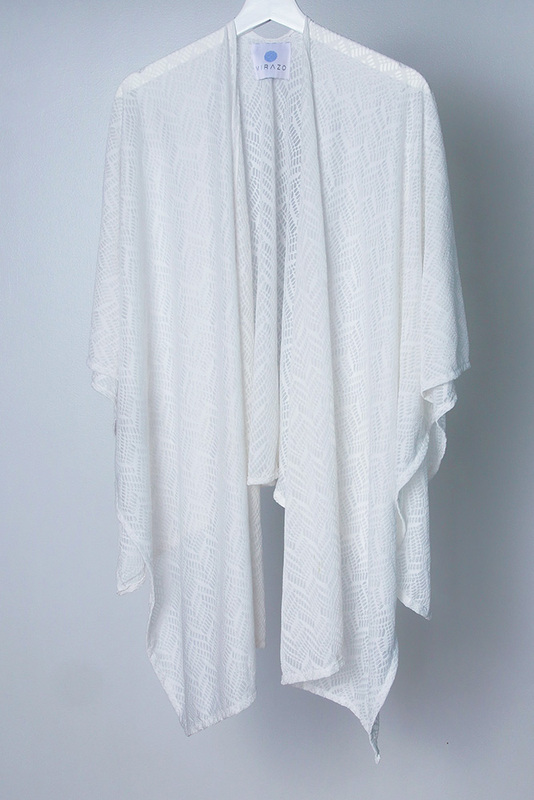 The Santorini Poncho/Pareo is made with a white lace. We can wear it as a Poncho on the shoulders or as a Pareo around the waste. The details of the lace add an elegant touch to the garment. It reminds us of the romantic Greek Island, Santorini with all its white houses. We imagine a woman swimming off the black sandy beaches of Santorini. She likes traveling and discovering new things by herself. But today she has a date and they are going to watch the sunset together. 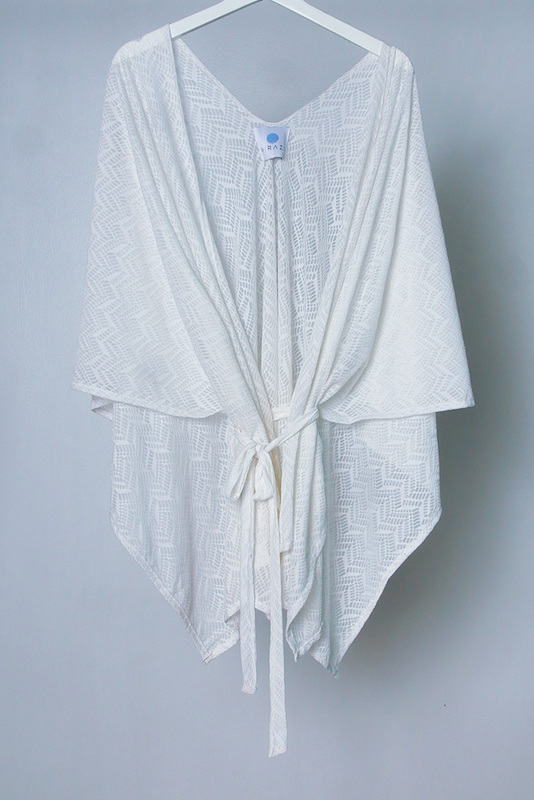 The Santorini Poncho will be perfect, she can use the Pareo for the beach and the Poncho for the sunset. Everywhere she goes with that Poncho, she’s on point! 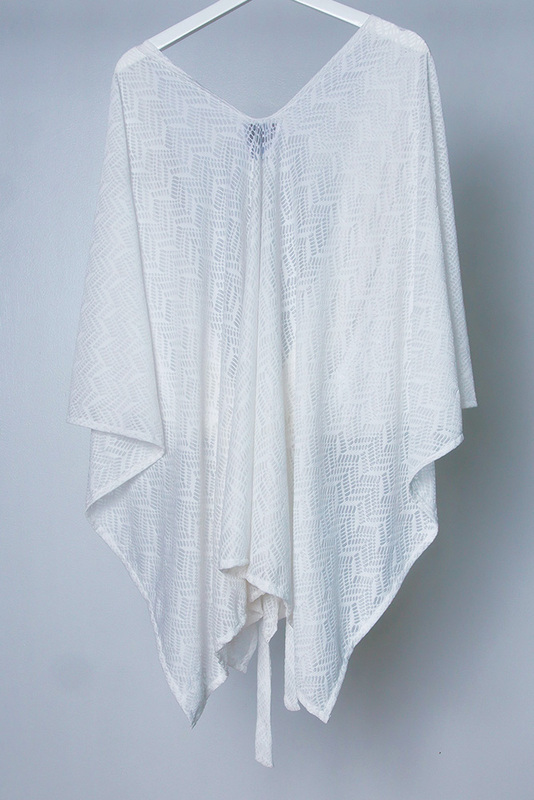 Wear It multiple ways: poncho, pareo, cover-up, scarf and more. It comes with a matching belt. You can wear it open or tied around the waste.